Lovett teachers are trying to strike the right balance between getting enough data to properly inform instruction while not overwhelming students with too much testing. In terms of a baseline assessment, Lovett uses the NWEA MAP test to determine student RIT scores and general areas of academic strengths and needs. Students take NWEA benchmark assessments at the beginning, middle, and end of each year. Teachers review student RIT scores each week to determine student growth and need, and plan the following week accordingly. The first lesson of each week is often on grade level, with a corresponding exit ticket, to determine whether students have moved outside their RIT score. Results from these weekly exit tickets allow teachers to modify instruction throughout the rest of the week. Throughout the school year, teachers use a variety of additional data sources to assess student progress. They create exit tickets, leverage NWEA Skills Navigator, use data provided by software programs, incorporate data from their own observations, and have students perform self-assessments. As part of their self-assessments, students provide examples of mastery and requests for help. All of this information helps teachers better understand where their students are in their learning trajectory and how well they are progressing through the content they need to learn. 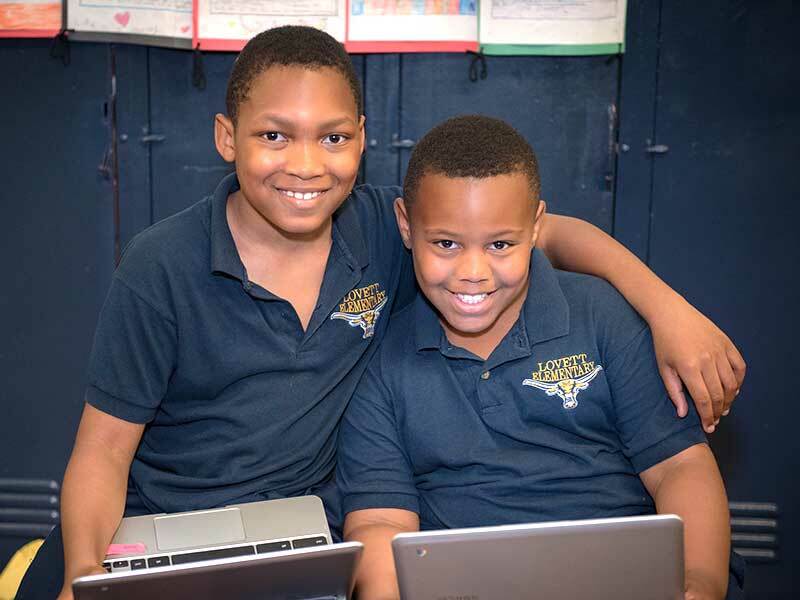 At the end of the year, Lovett students demonstrate what they have learned on the PARCC test.